As a 501C3 nonprofit organization, we need to not carry over a profit from year to year–and we were able to spend our incoming funding to directly benefit our animals! A million thank-yous to everyone who donated, participated in fundraising and volunteering, and cares about our rescue endeavors. We could not run this operation without your help! 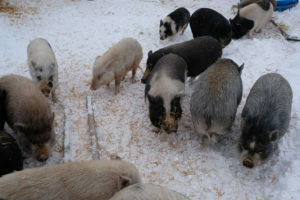 < Previous Piggies in need of a forever home!